The final two couples soak in the finality of the dramatic season. Photo courtesy of Michelle Money's Instagram. The Bachelor in Paradise finale did not disappoint. Host Chris Harrison promised us drama, and as always, he delivered. In the end, it came down to three couples: adorable Sarah Herron and Robert Graham, solid Lacy Faddoul and Marcus Grodd, and wild cards Michelle Money and Cody Sattler. Then, Harrison rolled in with overnight date cards for the love birds, giving them time to work it out (and work it out) before the final day in paradise. After Money and Sattler exchanged roses, a very nervous Grodd took his girl down to the beach and proposed! Faddoul said yes, and they formally accepted each other’s last roses. With intrigue and endings that happy, it’s no wonder BIP has already been green-lighted for a sophomore season. Intertwined in all the twists and turns of the episode was the internal struggle within Money to accept the love that Sattler was offering not only her but her young daughter too. The personal trainer was so sweet and patient with her as she hesitated throughout most of their time together. The Utah hairstylist said in interviews that he wasn’t the type of guy she usually pursued. She also expressed feelings of being overwhelmed by how quickly his feelings progressed and how strongly he came on. It really wasn’t until her last moments on camera that she decided to go all in. 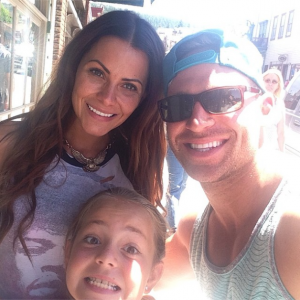 Michelle Money and Cody Sattler pose with Money’s daughter, Brielle. Photo courtesy of Michelle Money’s Instagram. 1. You’re so over it: When the guy that is so up your alley lets you down just like all the others that came before him, it’s time to mix it up. There is no need to keep torturing yourself with men just because they match your typical criteria. There are so many guys out there waiting for you! 2. You’re in a slump: If you haven’t been seeing anyone special for a while, it might be because you’ve boxed yourself in. When you look outside those boundaries, things will start to change, for better or worse. The point is: They’re changing. You’re getting out there and learning things about yourself that you may have forgotten because you unknowingly cut yourself off from all of those other fish in the sea. 3. He’s right there: Just like Money realized, someone could be right in front of your face, begging you to see them. Maybe you friend-zoned him ages ago; maybe he even gets under your skin a little bit; or maybe you met him yesterday and automatically wrote him off. Whatever the excuse, tell that voice in your head to pipe down and leap into his arms. Most likely, he will catch you and never put you down. Follow Michelle Money on Twitter @MoneyMichelle. The second season of Bachelor In Paradise will premiere during summer 2015 on ABC.